Despite how it sounds, the concept of an “organic solar cell” wasn’t dreamed up in some marketer’s hyperactive imagination. They can match, and even better, the performance of conventional solar cells, and they cost less. They have drawbacks, though: specifically, pathways that lose energy. 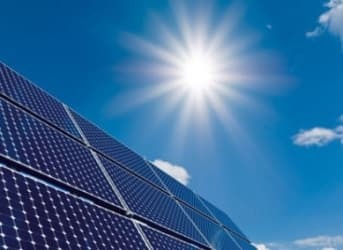 This means researchers need to find the right architecture for organic solar cells, and scientists at the University of Massachusetts Amherst say they have discovered just that. Alejandro Briseno of UMass Amherst has been working with colleagues at Stanford University and Germany’s Dresden University of Technology and reported in the journal Nano Letters that his team figured out how to eliminate the dead ends in the cells’ pathways. “This work is a major advancement in the field of organic solar cells because we have developed what the field considers the ‘Holy Grail’ of architecture for harvesting light and converting it to electricity,” Briseno said. The goal was to mimic simple blades of grass -- which are efficient light-harvesting plants -- by synthesizing single-crystalline organic nanopillars, which Briseno’s team calls “nanograss.” As with ordinary grass, nanopillars keep the pathways unbroken, allowing a more efficient flow of energy. Nanopillars are synthetic microscopic surfaces with billions of organic posts resembling blades of grass, and like blades of grass, they convert light into energy very efficiently. Once the dead-end problem was solved, they no longer lost any of that efficiency. Related: A Big Pension Fund Is Investing Heavily In Clean Energy. What Should You Do? What’s even more compelling about this discovery is that it was made because of a mistake. A UMass student working on the project was asked find a substrate on which to grow crystal molecules, in hopes that they would grow vertically to ensure unbroken pathways. For more than a week, no one realized that the student was using the wrong substrate for the task. Finally, Briseno said, the structure was examined under a scanning electron microscope. To everyone’s surprise, the substrate the student had mistakenly used was the very substrate that was necessary to do the job.